Meeting planning can be time-consuming. The experienced staff at Prairieland Park can arrange the catering details, the AV requirements and the room layouts, for you, quickly and easily. From small meetings of 5 – 15 people, to AGM’s with 100+ people, to full conferences using multiple rooms over many days – we can handle all your meeting requirements with ease. Our Terrace Room is ideal for ‘town hall’ meetings, AGM’s, medium sized gatherings and media conferences. 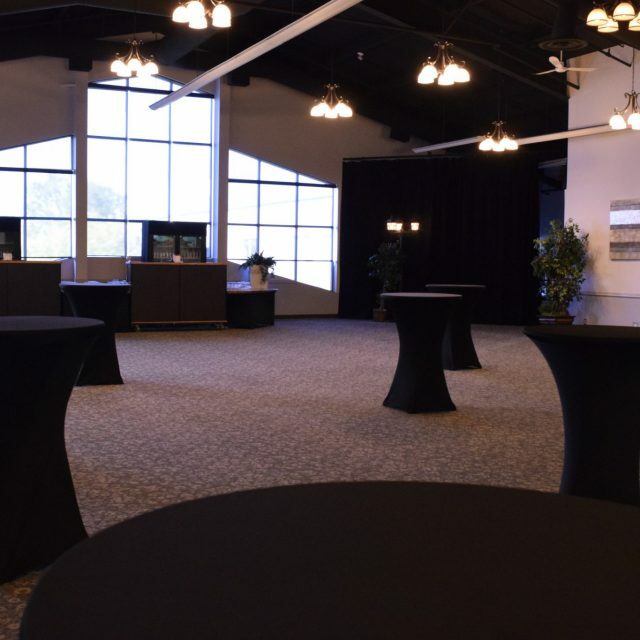 Located above Hall C in the WORLD TRADE CENTER at Prairieland Park, the room has fully integrated video and sound and the huge beautiful windows offer abundant light making this room ideal for many types of events. Highly transformable, our Hall A is ideal for small conferences or back to back meetings. With five breakout rooms with movable air walls, this space can be as large or as intimate as you require. See our gallery of room options below or check our most current Banquet Menu. When you are ready to book the space, our dedicated event specialist from the Rentals Department would be happy to discuss all the details of your specific event needs.